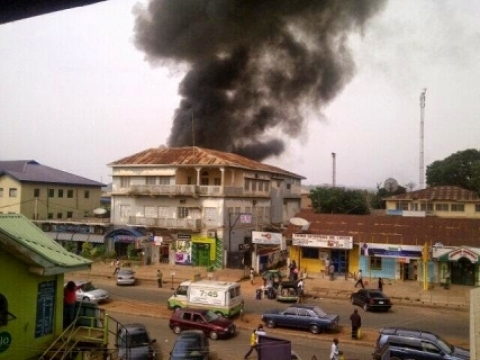 BREAKING NEWS: DOUBLE EXPLOSION ROCKS THE CITY OF JOS, NIGERIA. Two big explosions rocked the Jos University Teaching Hospital (JUTH) area inside the terminus market. The details of casualty remains sketchy but eyewitness said the explosions shook the entire area causing major panic in the area. This entry was posted in Uncategorized and tagged Boko Haram, JOS EXPLOSION. BREAKING NEWS: ROYAL AIR FORCE SPY JET BREAKS DOWN ON ARRIVAL.